After months of fundraising, planning and anticipation, work is ready to commence on Cox College’s nearly $7 million renovation – and it’s starting with a bang. On Feb. 4, college and community leaders will take sledgehammers and ceremoniously knock down a wall in the college. The demolition officially kicks-off a complete renovation of the aged campus, which is expected to take around a year to complete. While the efforts fundamentally overhaul the look of the college – which is located adjacent to Cox North Hospital – they are also done in an effort to increase classroom space and train more nurses locally. 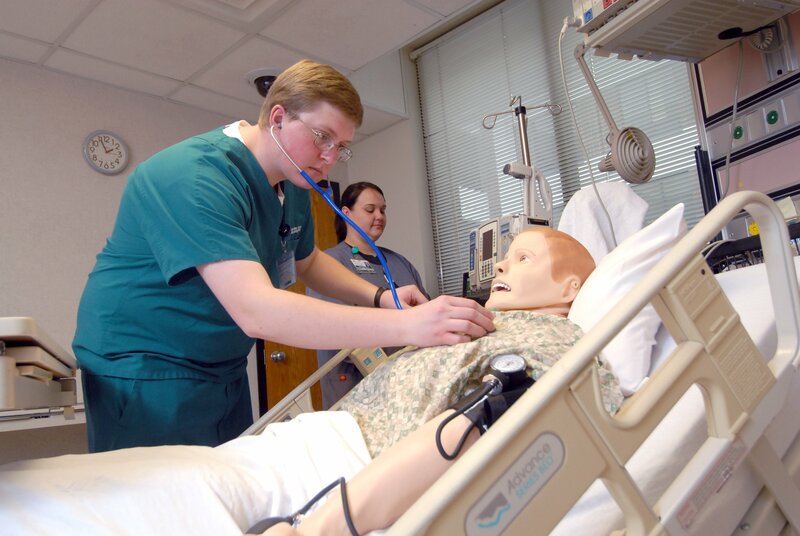 Cox College hopes to receive permission from the Missouri State Board of Nursing to increase the number of nursing students it is allowed to accept from 250 to 400, helping solve a shortage of nurses in the Ozarks. Efforts to reinvest in the campus began in mid-2017, when a campaign was launched to raise the funds necessary for the project. Since then, more than $6.8 million has been secured from a variety of donors, including $2.2 million from the U.S. Department of Commerce, a $1 million matching grant from the Mabee Foundation, and many gifts from a variety of local and treasured benefactors. Cox College was founded in 1907 as the Burge School of Nursing. While the majority of the college will be completely renovated under this initiative, several aspects of its history – including the historic George Kieffer “Helping Hands” mural – will be integrated as ties to its legacy.